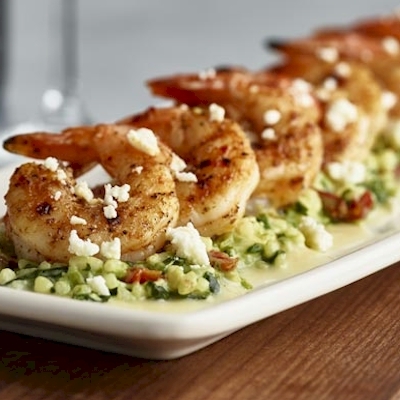 Bonefish Grill is a casual-dining yet elevated seafood restaurant featuring indulgent appetizers, seasonal fresh wood-grilled fish and seafood dishes, along with land entrées like premium grilled steaks. Hearts of palm, Kalamata olives, tomatoes and citrus herb vinaigrette. For an additional charge add chicken, shrimp or salmon. Jumbo lump crab cakes with red rémoulade sauce. 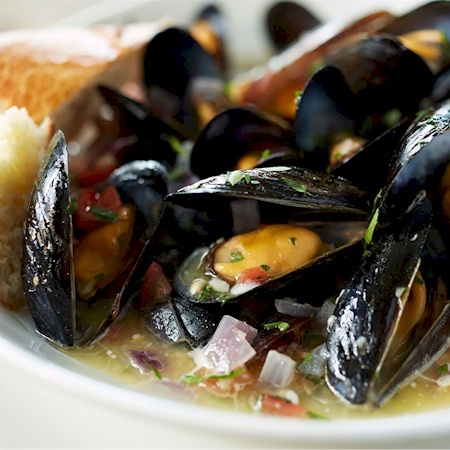 Prince Edward Island mussels with tomatoes, red onion, garlic, basil and lemon wine sauce. 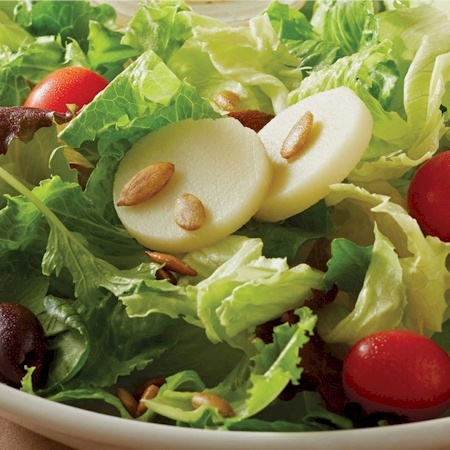 For an additional charge add wood-grilled chicken, shrimp or salmon to any salad. 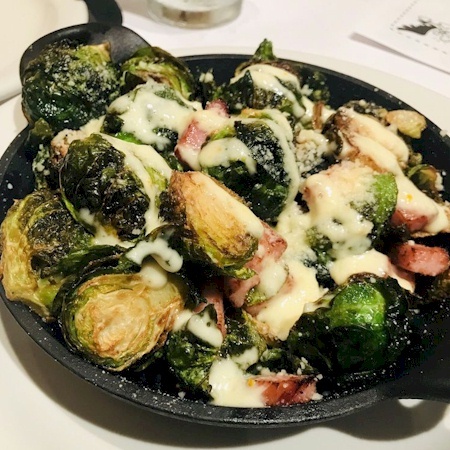 With house-made garlic croutons. For an additional charge add chicken, shrimp or salmon. Can be made gluten free when prepared without croutons. 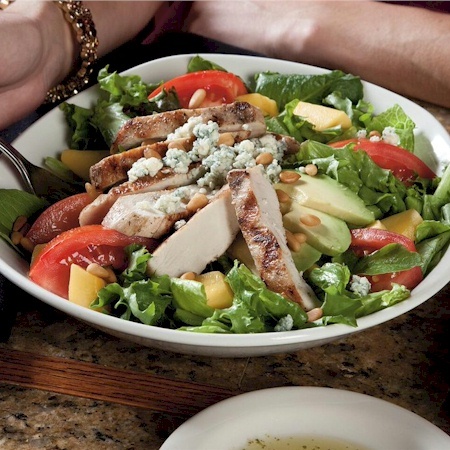 romaine and kale, tomato, egg, Blue cheese crumbles, fresh avocado and bacon, tossed in a ranch dressing, with wood-grilled shrimp or chicken. Romaine and kale, ancient grains, Feta, avocado, pickled onions and sweet potato bites, tossed in our house vinaigrette, finished with a citrus aioli. 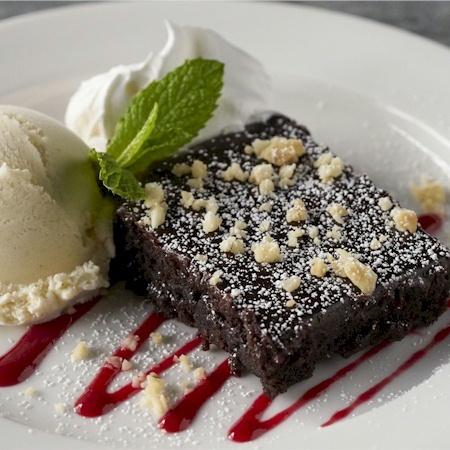 Can be made gluten free when prepared without farro/ancient grains. 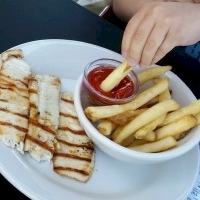 Grilled fish selections are served with your choice of two signature sides. 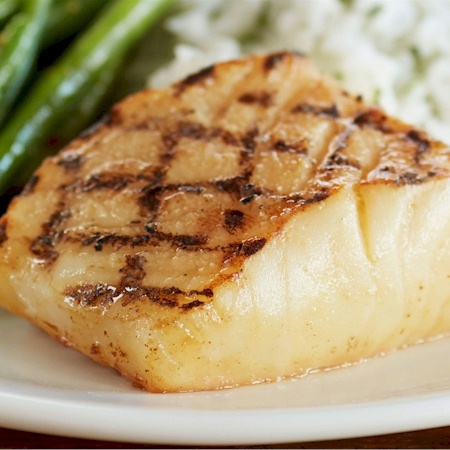 Our fish is lightly seasoned and wood-grilled. 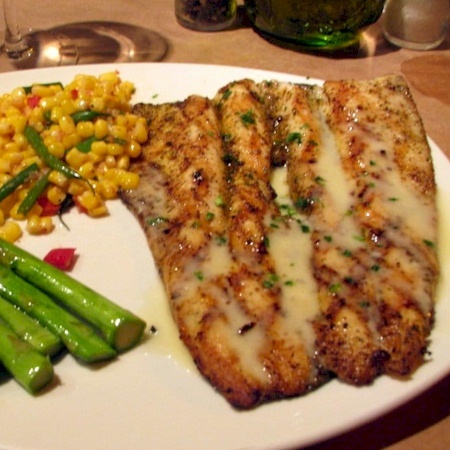 Enjoy your fish with a freshly grilled lemon or choose from one of our Signature Sauces: Lime Tomato Garlic, Mango Salsa, Herb Pesto, Pan Asian Sauce, Lemon Butter, or for an additional charge Oscar-Style (lump crab, asparagus & lemon butter). 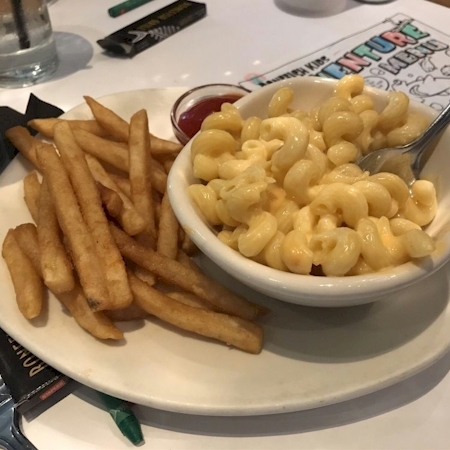 Served with your choice of two signature sides. 5-6 oz lobster tails, seasoned and steamed, served with warm drawn butter. 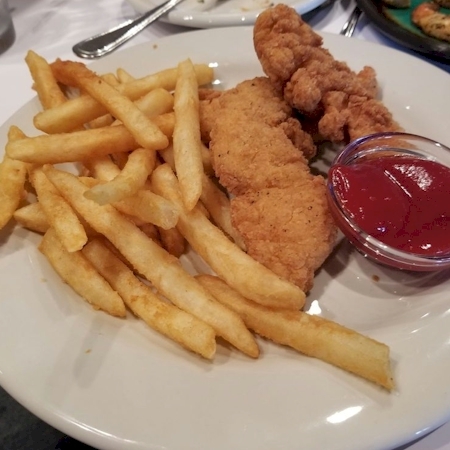 Served with choice of two fresh sides. 20701. Filet Mignon 6 oz. 6 oz USDA seasoned and wood-grilled. 20702. Filet Mignon 8 oz. 6 oz center cut sirloin (or upgrade to filet mignon) and a Maryland-style crab cake. 6 oz USDA seasoned and wood-grilled filet and a Maryland-style crab cake. 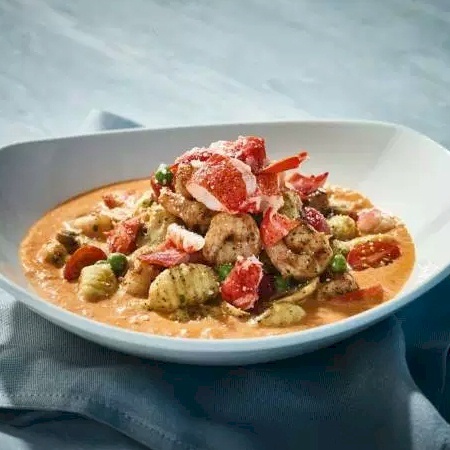 Sweet lobster chunks and tender shrimp sautéed with golden-brown potato gnocchi, mushrooms, peas and fresh tomatoes tossed in lobster-sherry cream sauce. toasted bun, fully dressed with sharp Cheddar and special sauce, with french fries. For an additional charge add bacon or avocado. Premium sushi grade, sesame-seared rare, avocado, sweet chile sauce, jasmine rice, mango salsa. 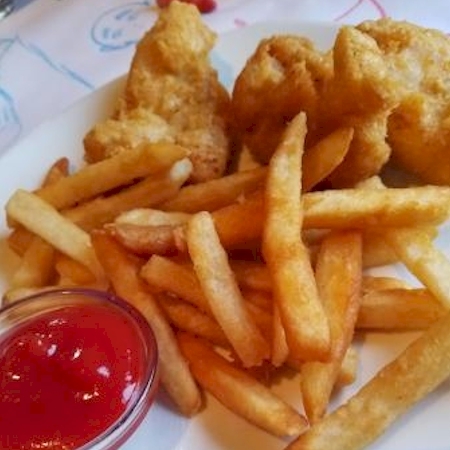 All kids meals include your choice of broccoli or French fries. Just for kids 10 & under please. Tomatoes, red onion, garlic, basil and lemon wine sauce. 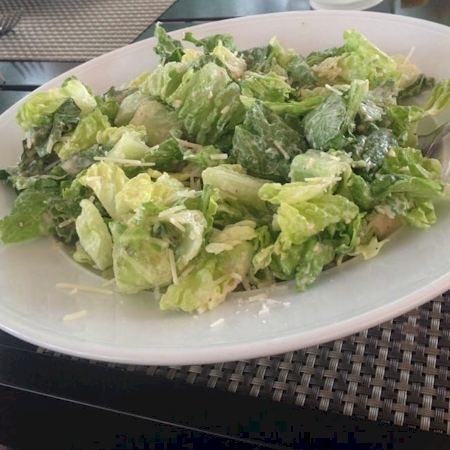 Prepared without croutons. 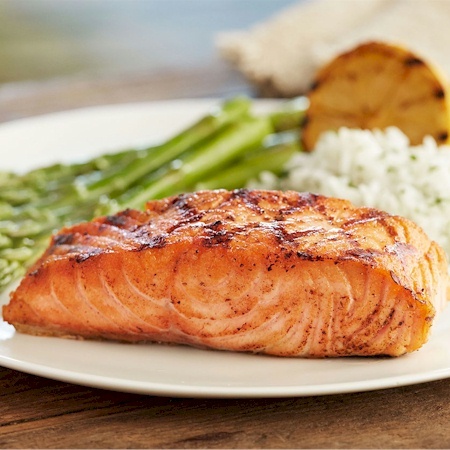 For an additional charge add chicken, shrimp or salmon. Romaine and kale, tomato, egg, Blue cheese crumbles, fresh avocado and bacon, tossed in a ranch dressing, with wood-grilled shrimp or chicken. 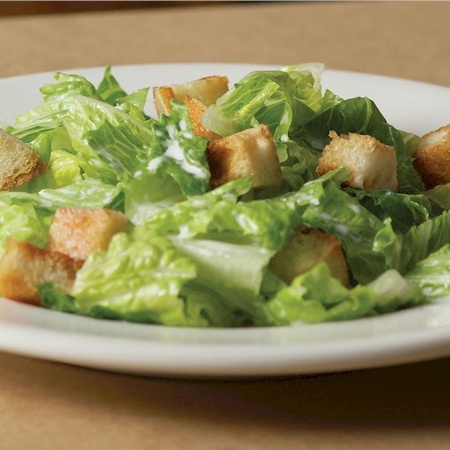 Prepared without croutons. Lightly seasoned and wood-grilled with choice of sauce: Lime Tomato Garlic, Mango Salsa, Chimichurri Sauce, Lemon Butter, or Simply Grilled. 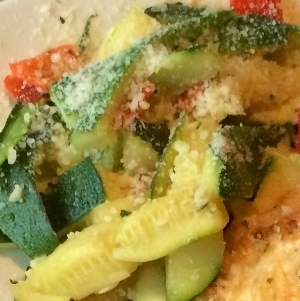 Served with your choice of two gluten free sides. 32688. 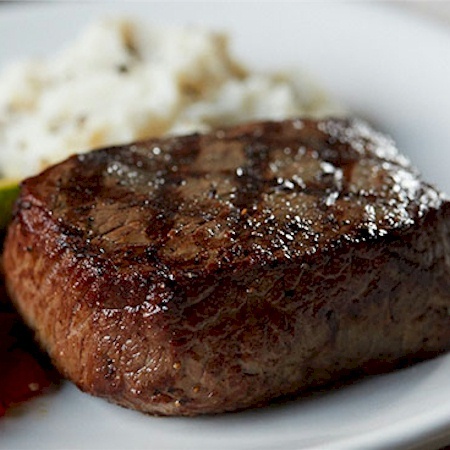 Gluten Free Filet Mignon 6 oz. 6 oz USDA seasoned and wood-grilled. 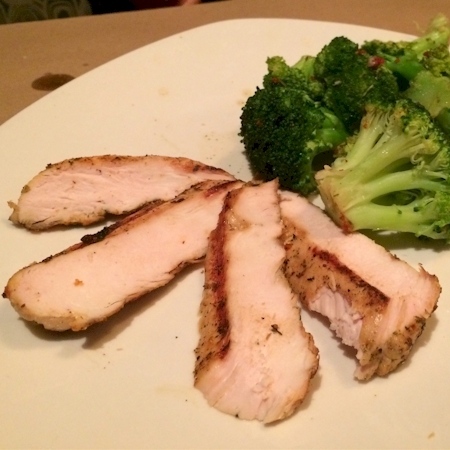 Served with your choice of two gluten free sides. For an additional charge make it surf & turf style with the addition of a Wood-Grilled Shrimp Skewer or a Cold Water Lobster Tail. 32689. Gluten Free Filet Mignon 8 oz. 8 oz USDA seasoned and wood-grilled. 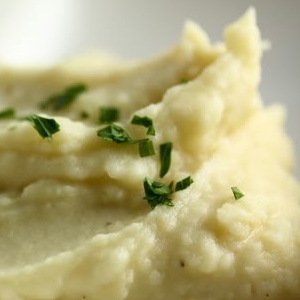 Served with your choice of two gluten free sides. For an additional charge make it surf & turf style with the addition of a Wood-Grilled Shrimp Skewer or a Cold Water Lobster Tail. 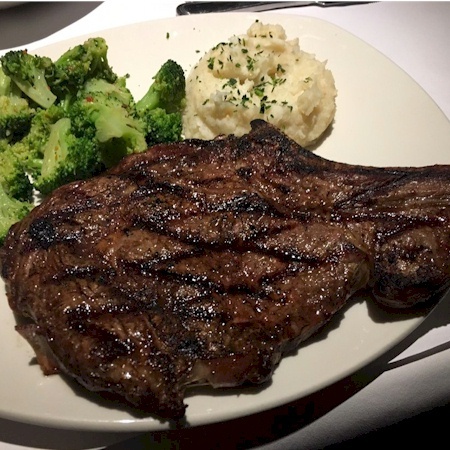 18 oz steakhouse style. 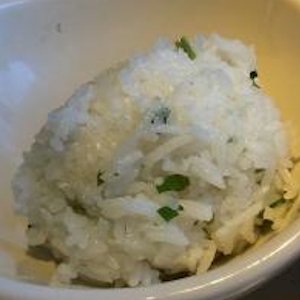 Served with your choice of two gluten free sides. For an additional charge make it surf & turf style with the addition of a Wood-Grilled Shrimp Skewer or a Cold Water Lobster Tail. 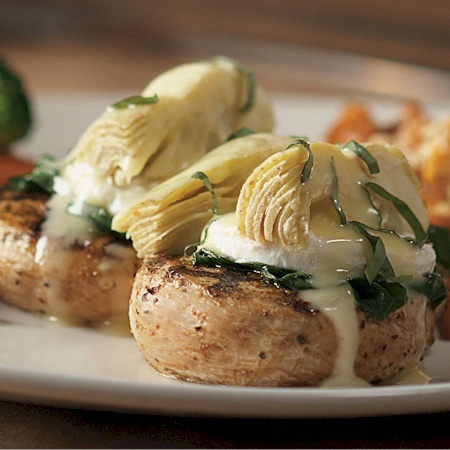 Goat cheese, spinach, artichoke hearts and lemon basil sauce. 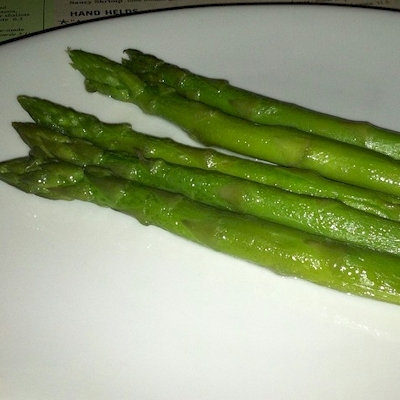 Served with your choice of two gluten free sides. 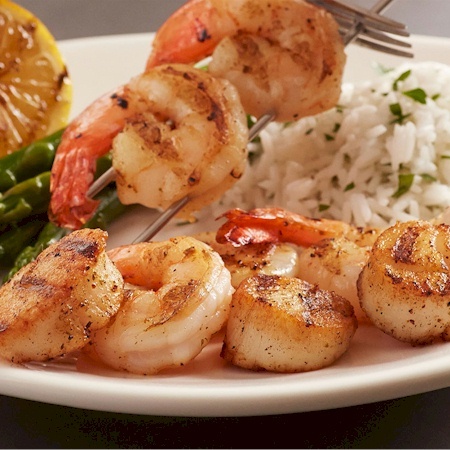 For an additional charge make it surf & turf style with the addition of a Wood-Grilled Shrimp Skewer or a Cold Water Lobster Tail. One 5-6 oz. 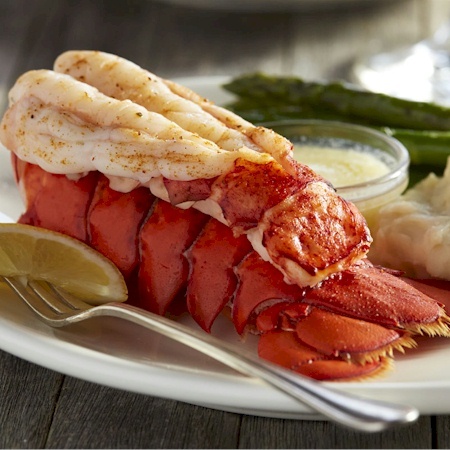 lobster tail, seasoned and steamed, served with warm drawn butter and your choice of two gluten-free sides. Two 5-6 oz. 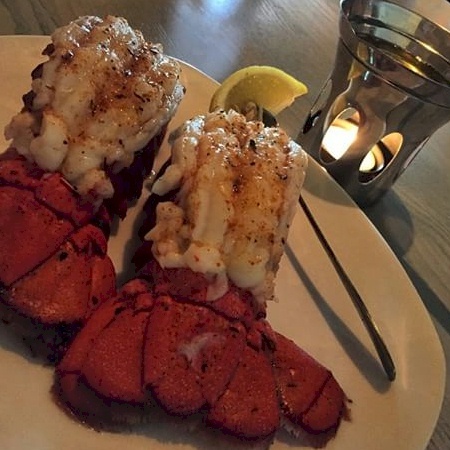 lobster tails, seasoned and steamed, served with warm drawn butter and your choice of two gluten-free sides. 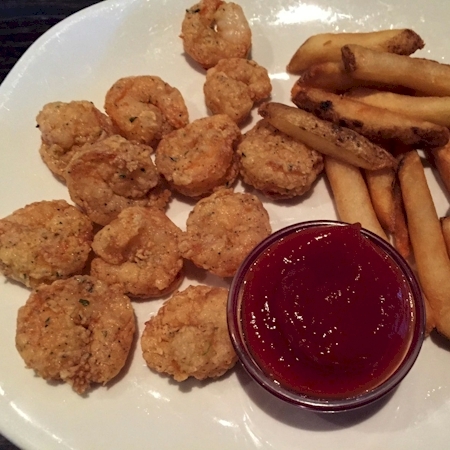 Wood-grilled shrimp topped with dynamite aioli and Feta cheese crumbles, served with your choice of two gluten-free sides.